There are a number of examples of new stadiums—all here in the Twin Cities! The Minnesota Twins home, Target Field. TCF Bank Stadium, home of the Minnesota Gophers. The "X" as Minnesota Wild fans describe Xcel Energy Center in St. Paul. Even Target Center, home of the Minnesota Timberwolves, has had a grass rooftop added and new plans for enhancements. Of course, the new stadium for the Minnesota Vikings is top of mind as we witness it growing from the foundation up in dramatic fashion. Each stadium has brought a unique value to their fans and communities. However, many continue to see these expanses as underused, expensive and extravagant when there are so many community needs. 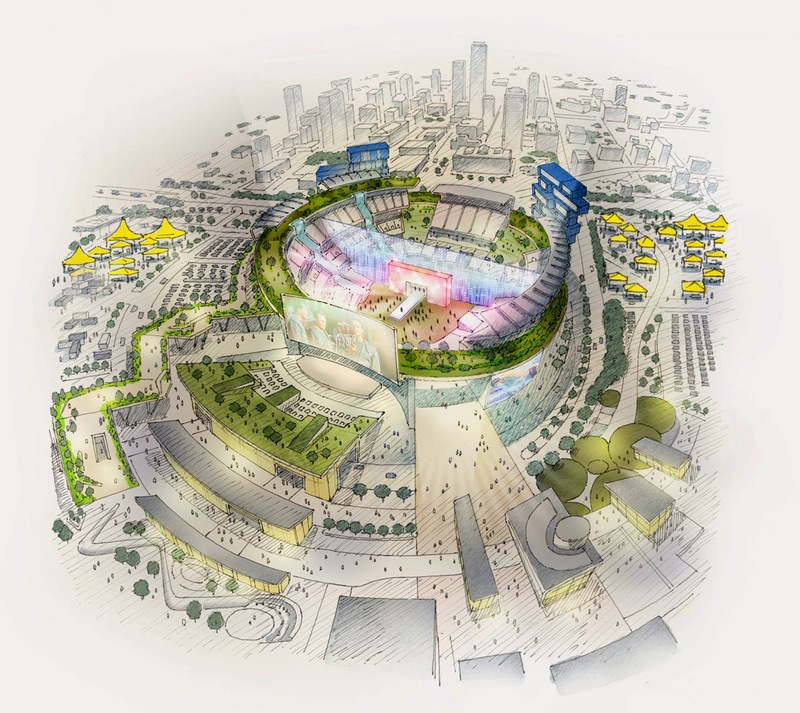 Recently, a designer of events on a grand scale dove into stadium designs at the conceptual level. The outcomes of the work provide some interesting and thought-provoking ideas. For instance, consider sliding down seating areas into a temporary pool in the playing area. You'll find the visuals and ideas a fun escape (especially if you are near the construction of a stadium).